As an HR professional, you know the spotlight is on recruitment functions to prove their value to the business. You’ve seen how the volume of job applications has risen over the last few years, yet all it has done is create more work and rarely better outcomes – for candidates, recruiters or employers. We’ve been hearing from HR managers and recruiters, just how hard they struggle to convey the often hidden value and the hidden costs of recruitment to the organization’s bottom line. Despite some successes, they express frustration in getting their message across to the C-suite — the need to invest in effective volume recruiting. 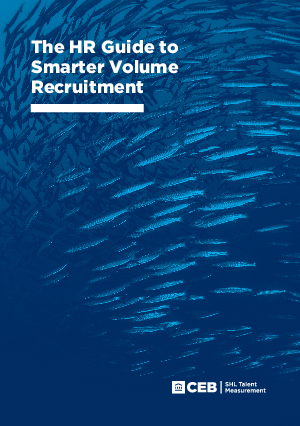 If you’re reading this, you’ve probably implemented elements of a volume recruitment process, but have realized it’s not enough. Hiring the right talent from high volumes of applications needs a more strategic approach.